Leading Manufacturer of mpg for siemens, fanuc and mitsubishi cnc controller, mpg manual pulse generator for adtech cnc controller, manual pulse generator and mpg manual pulse generator for fanuc cnc controller from Ahmedabad. We are the leading suppliers of MPG Manual Pulse Generator For Siemens CNC Controller. MPG (Manual Pulse Generator) is used for taking precise offset. 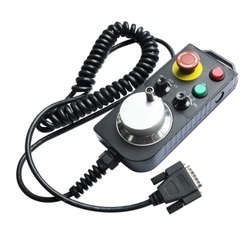 We are the leading suppliers of MPG Manual Pulse Generator for Adtech CNC Controller. 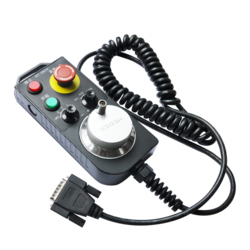 We are the leading supplier of MPG Manual Pulse Generator for Fanuc CNC Controller.